"Things I Wish Someone Had Told Me 8 Years Ago"
Programming techniques do make a difference.This seminar explains why Application Developers and DatabaseAdministrators need real-world tips and techniques to make lifewith DB2 easier. This seminar includes application tuning techniques, SQL tips, slick ways of deciphering EXPLAIN output,and many other gems gathered from many years of designing,developing, and tuning DB2 systems. Also included in this one-day seminar is a clear discussion of the DB2 "BLACK BOX"and an explanation of how a program gets data from DB2 -information critical to understanding the impact of various coding techniques on both online response time and batch runtimes. 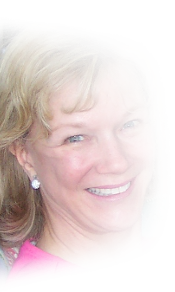 Bonnie Baker speaks from many years of experience designing, developing and tuning DB2 systems. She gives real-life answers to real-life problems with DB2. Students leave "empowered" to make a difference immediately.This seminar has been enthusiastically received throughout the world. Over 2000 DB2 customers attended a shorter version of this seminar at the DB2 Technical Conference, IDUG,and SHARE and gave it great reviews.